Microsoft has revealed the new games coming to Xbox Game Pass this month, and there are some huge titles coming your way soon. If you’ve never played the Life Is Strange series, you should be especially pleased to learn that the entire series is coming to Game Pass, including the newly released (and ongoing) Life Is Strange 2. The first episode of Life Is Strange 2 is available now on Xbox Game pass, and Microsoft confirmed in an update that all five episodes will be making their way to the service eventually. If you’re c ompletionist who likes to take things from the very beginning, all five episodes of the original Life Is Strange are already live on Xbox Game Pass. And these are just the new games. 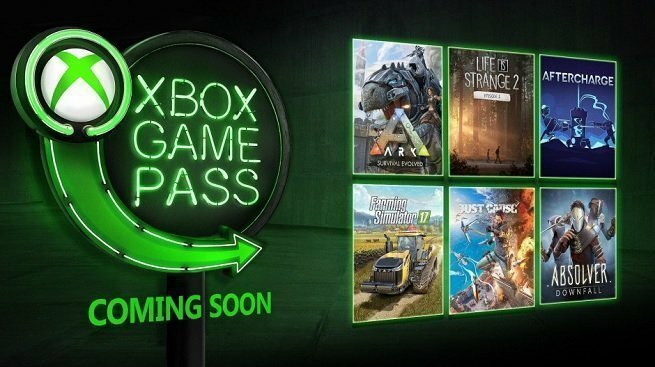 There are already well over 100 new and classic games available on Xbox Game Pass, and Microsoft has vowed to keep feeding the lineup with first-party exclusives like Forza Horizon 4 and Halo Infinite. When a big first-party exclusive launches, you know it will be available on Game Pass on launch day. It’s a great service, and super affordable. This isn’t a sponsored post, we just think it’s one of the best deals in gaming right now, so get on it!